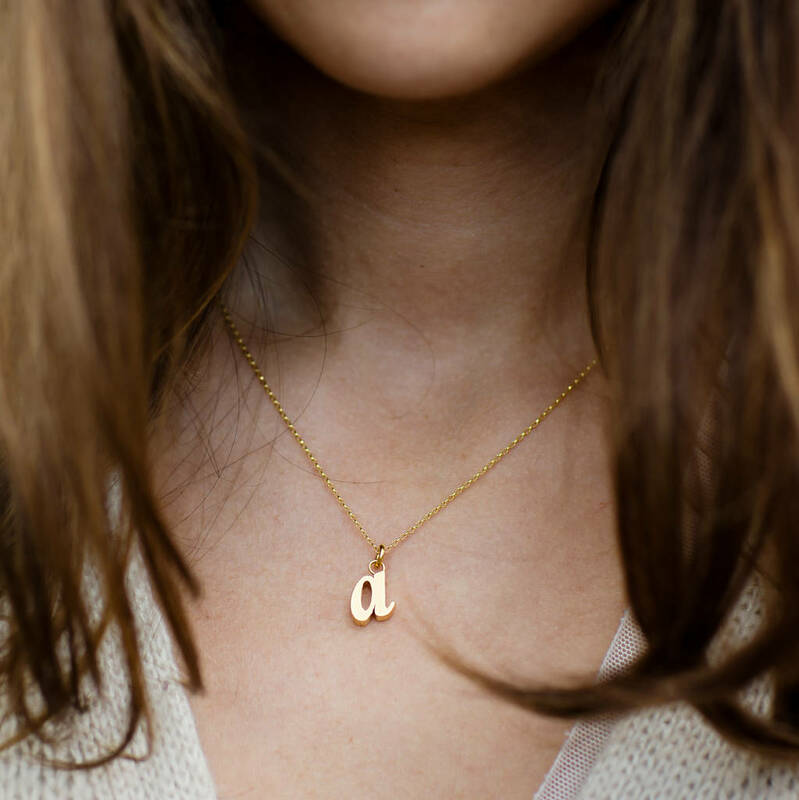 Our gorgeous lowercase alphabet necklaces have been taken from vintage metal type. 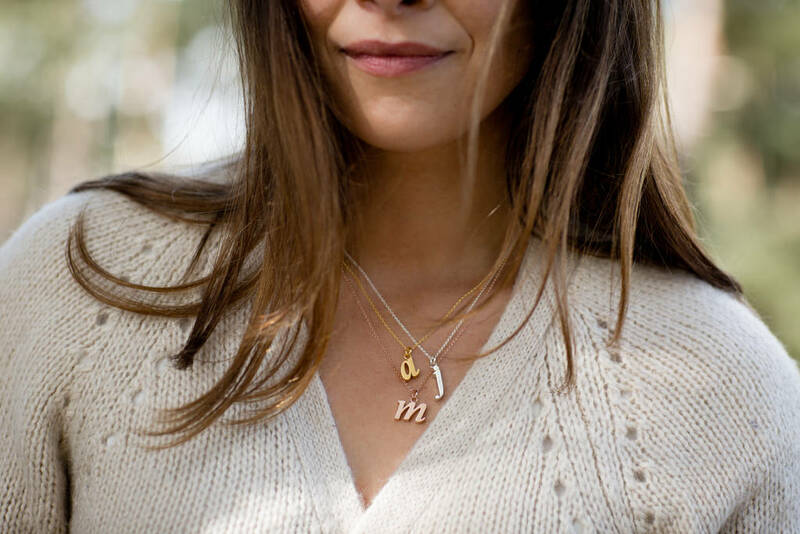 Choose from rose gold, gold vermeil and silver. 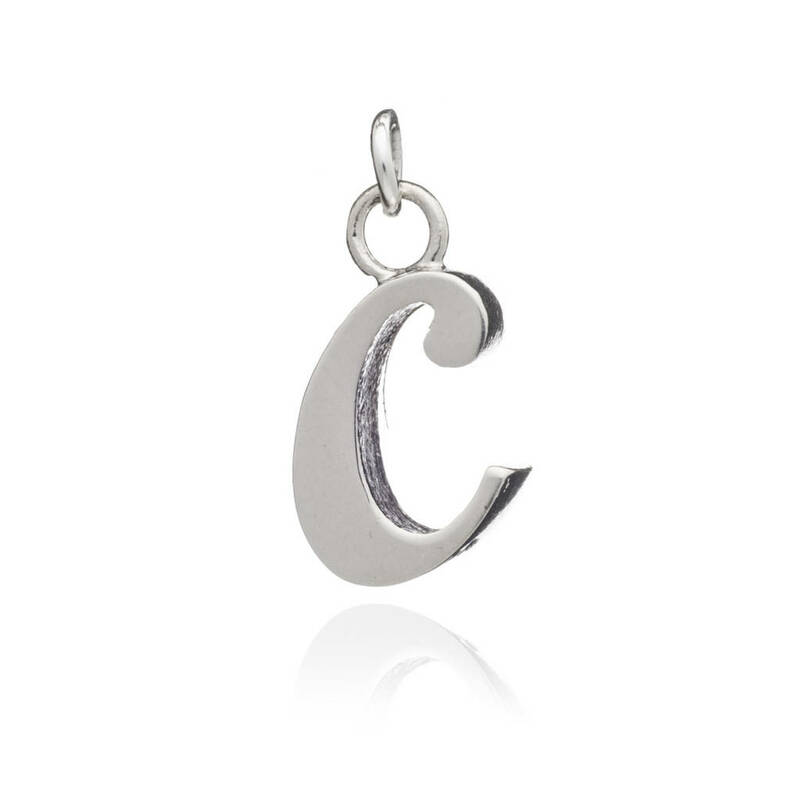 Handcast in soild sterling silver and then plated in either rose gold or gold vermeil our lowercase letter charms have a lovely chunky feel to them. Measuring approx 1cm in height and 3mm in depth, choose your chain length from either 18in, 24in and 32in belcher chains. 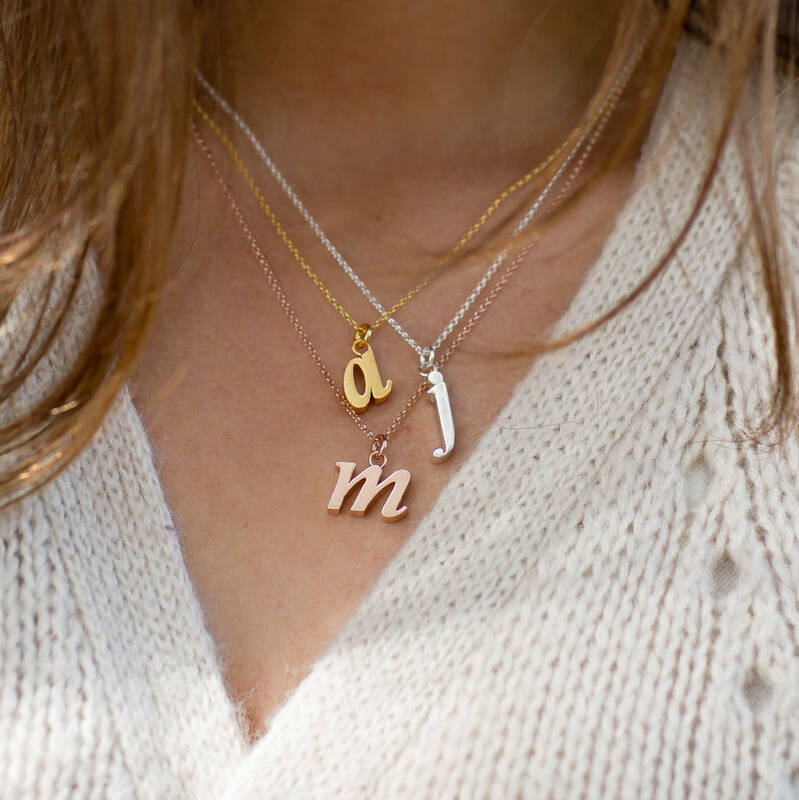 in sterling silver, gold vermeil and rose gold. Add more charms to create a family group. 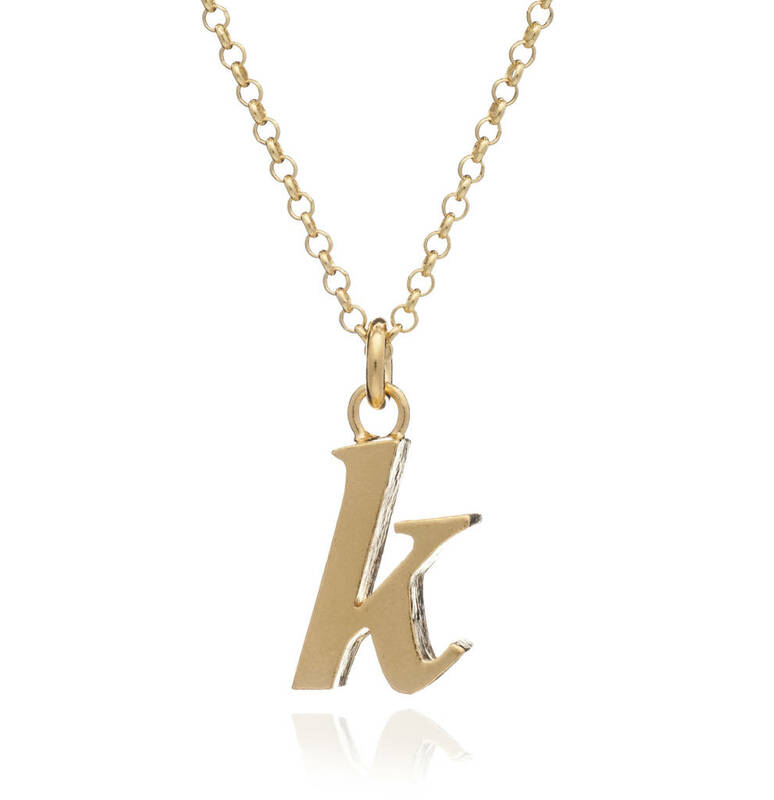 Handmade in sterling silver with the gold and rose letters plated in 23k gold and rose gold vermeil. 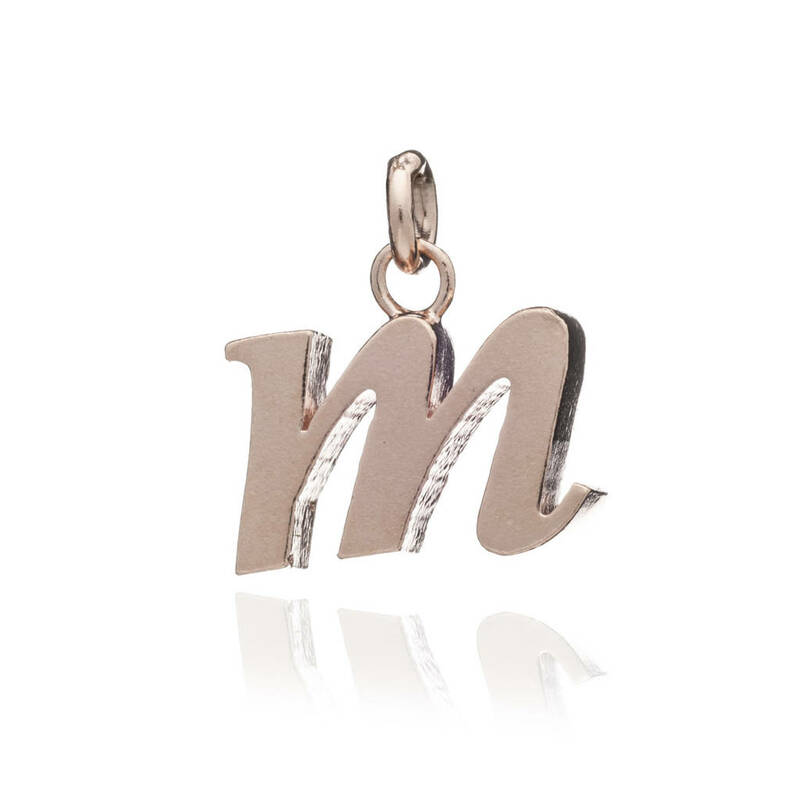 Initials measure approx 1cm in height and 3mm deep.